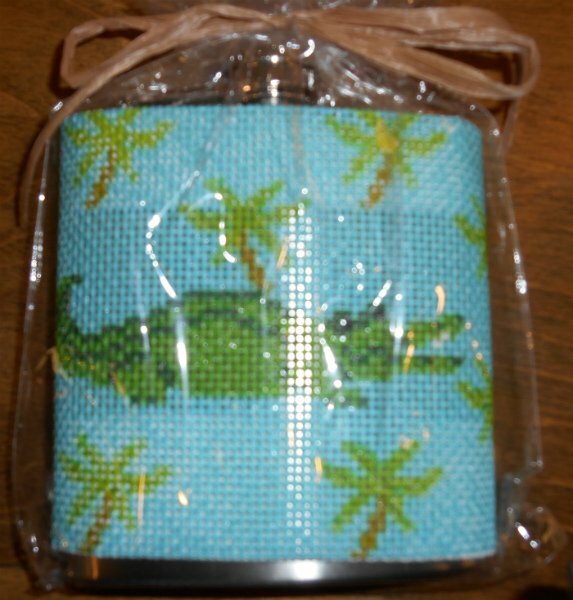 Home > Canvases > Alligator Flask by Voila! Hip Flasks are in! This alligator flask is perfect for that special someone. Give as a graduation or wedding gift - or keep it for yourself. Hip Flasks are in! This alligator flask is perfect for that special someone. Give as a graduation or wedding gift - or keep it for yourself. 13 mesh 9.5"x3.75"